Our profile on The National Solid Waste Management Authority , A government agency responsible for the collection, storage, and disposal of solid waste in. In March 2015, a massive fire burned at the Riverton City municipal solid waste dump on the outskirts of Kingston, Jamaica. The conflagration raged on for two weeks causing schools, businesses, and other services to shut down or close early because of the poor air quality caused by noxious emissions from the burning of tires and other toxic refuse. The dump fire covered almost 90 acres and cost in excess of $200 million to finally bring under control. And this was not the first time that the Riverton dump went up in flames. In fact, fires had been a recurring problem for almost a dozen years before this last blaze brought so much cost and damage to the people of Jamaica. In 2012 another fire at Riverton lasted for six days, while the smoke abatement process lasted seventeen. There was yet another fire in 2014. All of these dump fires poured cancer-causing chemicals into the atmosphere, posing a grave health risk to the citizenry of the country and the tourists who visit it. 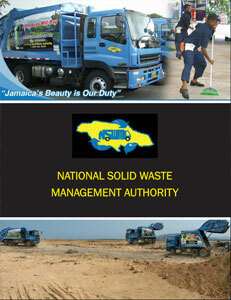 The National Solid Waste Management Authority (NSWMA) is an agency of the Ministry of Local Government and Community Development, responsible for the collection, storage, and disposal of solid waste in Jamaica. It was established in 2002 under the National Solid Waste Management Act of 2001. Its new Interim Executive Director is Colonel David Pryce who, in the wake of the latest Riverton fire, was called to duty from the Jamaican Defense Force when the NSWMA’s Board of Directors decided not to renew the contract of its Executive Director, Jennifer Edwards, who had been at the helm for the past eight years. Pryce was drafted for his new position at the NSWMA because of his management skills; he had to learn about garbage on the job. In that regard, he gives credit to the 2,500 “dedicated workers and employees of the Authority who have not been frugal in their sharing of information and were quick to teach me the ins and outs of the sector,” he says. “I can’t boast about being a subject matter expert, but I am much further along the scale of knowledge about waste management than I was.” In fact, Pryce has brought himself quickly up to speed and can succinctly lay out the responsibilities of the agency he is charged with leading, and whose loss of public trust he is determined to reverse. Pryce adds that refuse is now better divided into separate cells that are now part of a rotation system; each one is covered when not in active use, “We open different cells at different times,” he says. And some new landfill equipment was also recently purchased. But the new Interim Director laments the lack of funding that the NSWMA sorely needs in order to truly transform itself into a 21st century institution. “You never get all the money that you want,” he says ruefully. “We’re funded from the central government and monies collected from property taxes. We also engage in commercial activities to generate some income for ourselves to augment the shortfall that we get from the central government.” That extra income comes from the “tipping” fees charged to commercial users of the agency’s waste processing facilities. In a further attempt to maximize resources, Pryce says that the Authority is committed to the possibility of transferring some of its responsibilities over to private hands. “We are not averse to privatizing some aspects of what we do, if there are persons who are better-equipped to do it,” he admits. The NSWMA is also looking into “the whole business of converting trash to cash,” as Pryce puts it. 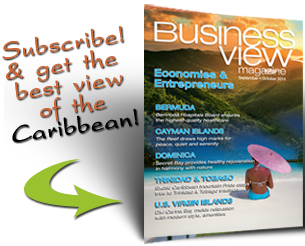 Indeed, the central government is contemplating partnering with the private sector for a waste to energy conversion strategy that will reward investors while also serving as an affordable way to manage Jamaica’s municipal solid waste. While the NSWMA is searching for a new, permanent Executive Director, its Interim Director, Colonel Pryce issues his final marching orders, once again elucidating NSWMA’s core values: “This organization is motivated,” he declares. “This Authority is committed to what it has to do. We are committed to our mandate and that we do so clothed in ATTIRE. We are Accountable. We’ll be Transparent. We will ensure that whatever we do, we’ll do it with Teamwork. We will jealously guard our Integrity. And we’re committed to display and show Respect to each other, and to our stakeholders, and to those who would seek to criticize us, that we are committed to Excellence.” Yes sir! 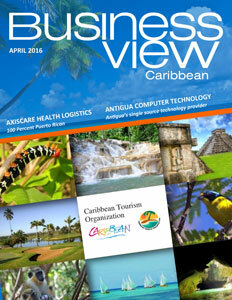 Check out this handpicked feature on TCI Waste Disposal Services of the Turks & Caicos.